After a book wins a literary prize, publishers put a badge announcing its success on the cover. This announcement marks the relationship between paratext and the production of value in Canadian literature. While publishers and booksellers heavily promote book awards as if they denote inherently valuable literature, the story behind literary prizes is much more complex than “award-winning books equal good books.” Awards are only one of the ways in which literary value is constructed, and they are not necessarily a reliable indicator of a book’s impact. Many award-winning books have faded to obscurity over time, while many influential works were never feted with awards. Put another way, the quality, potential longevity, or importance of a work cannot be assumed from its award status alone. Not only are awards not necessarily a marker of quality, but also different prizes define literary value differently. Literary awards are brands themselves, and as James English notes in The Economy of Prestige , awards can compete with each other for prestige and meaning within their own field of cultural production (9–12). Literary awards serve to construct value for particular audiences and communities. At a national level, awards like the Governor General’s Literary Award (the GGs; est. 1936), the Griffin Poetry Prize (est. 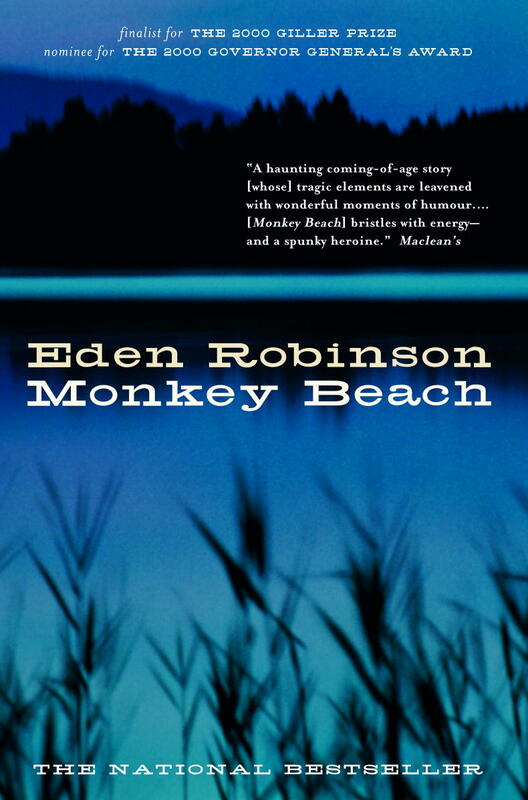 2000), and the Scotiabank Giller Prize (est. 1994) each seek to affirm specific works as valuable to Canadian national culture. As Gillian Roberts argues in Prizing Canadian Literature , “celebratory projects such as literary awards in Canada must operate ideologically in terms of winning consent of the Canadian public to the idea of the nation, and to a sense that national culture is worthy of consumption” (21). Literary prizes tend to be awarded at the national, provincial, and municipal levels. Awards like the City of Vancouver Book Award or the BC Book Prize reinforce the idea that writers and publishers from Vancouver and/or BC produce valuable work. Likewise, regional poetry awards like the Dorothy Livesay Poetry Prize can be a way of encouraging new and established poets to write poetry, while, again, implying that those collections are worthy of ranking and celebration. Some prizes place value in the prestige of artistic achievement, while others reward the potential marketability of the book. While this binary does not necessary hold in practice, one way of understanding how Canada’s national awards culture works is to consider the GG’s and the Scotiabank Giller Prize as two contrasting views of literary value in Canada, the former focused on prestige, the latter on marketability. Established in 1926, the GGs are often described in the media as “Canada’s oldest literary awards.” The notions of history and prestige are important to the image of the GGs, and distinguish them from Canada’s other major award, the Giller Prize. In a column for the National Post in 2002, journalist Noah Richler suggests the GGs should more clearly distinguish themselves by saying, “‘There are other prizes to tell you what the Best Big Book is, but that is not what our job is’” (AL1). As Roberts notes, this “imagined confession of the Governor General’s Award’s administration suggests that the rival Giller should be equated” (29–28) with the idea of “Best Big Book.” If the Gillers are seen as the award for Canada’s “Best Big Book” of the year, the GGs are typically framed as an award for high literary achievement. But because of their association with the government, the GGs also carry a strong connotation of cultural nationalism. Although the Canadian Authors Association originally founded the award, the Canada Council for the Arts took over in 1959 and expanded the GGs to include French language and other genres. The transition to the Canada Council is particularly important because the agency was founded as a result of the Massey Report (1951), which outlined the need for the government to financially support the development of Canadian culture. The Massey Commission and the report it produced came at a time of great anxiety about Canadian national identity (see the chapter on Nationalism, 1950s-1970s). As Magdalene Redekop argues in her article “Canadian Literary Criticism and the Idea of a National Literature,” there is a radical difference in power between American and Canadian culture (266). Because Canadians have always read magazines, newspapers, and books from both Britain and the US (and in francophone Quebec, from France), it is difficult for books published in Canada to achieve the same level of sales or critical attention granted these books from other countries. Thus, Anglo-Canadian national culture has been marked by anxiety over whether its culture measures up, something the Massey Report addresses. One of the ways that Canada has dealt with this anxiety since World War II is through awarding prizes for the best books in Canada in hopes that such a prize economy will help to produce more works of high-quality Canadian fiction. While the report was sensitive to the part played by American cultural imperialism within Canada, it understood culture and economics as separable issues. Culture was seen as an important aspect of nation-building that required financial investment by the government. By taking over the GGs, the Canada Council also took on the annual responsibility of crowning a work of literature as representative of the nation’s excellence in literature. The performance of a government-funded agency recognizing literary works carries great symbolic weight, and propagates the idea that Canada has a valuable national literature “worthy of consumption” (Roberts 21). 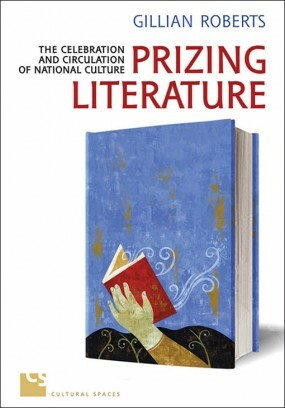 As Roberts notes, “there is a kind of national capital that functions in Canadian literary prizes and in Canadian responses to the extra-national prizes that anoint Canadian literature” (20). The Giller was established after the North American Free Trade Agreement (NAFTA), at a time when free trade meant Canadian book titles had to compete with less protection from American titles. It also came at a moment when smaller presses were being bought by larger presses, and larger presses were starting to merge into mega-presses as a result of free trade. As well, smaller, community-owned bookstores were starting to give way to larger, multinational bookstores like Chapters and online retailers like Amazon. While these big box and online retailers give the illusion of increasing consumer choices, in reality they tend to specialize in bestsellers, award-winning books, and titles from larger presses. The effect is not unlike the way that mega-supermarkets seem to give consumers more choices, but a lot of shelf space is used to provide more varieties of pop and other processed, sugary foods. A comparison of historical shortlists of the GGs and Giller Prize shows that while there is often some overlap, for the most part, different books are represented on each list—indicating that the prizes have different objectives. Rather than a celebration of aesthetics or nationality, the Giller Prize spotlights potential or actual bestsellers. In contrast to the GGs’ more low-key award ceremony, the Giller Prize is a red carpet event that attracts major media attention. The “Giller effect” has entered the Canadian media lexicon to describe the massive boost in sales that accompanies a Giller win. In other words, the Giller tends to go to books from major publishers that have the capacity to require large print runs. The tension between these two awards, at the risk of oversimplification, comes down to the question of what constitutes valuable literature: a book that is the most likely to be selected by book clubs or one that is more likely to attract serious critical attention in university courses? Further, are the two mutually exclusive? 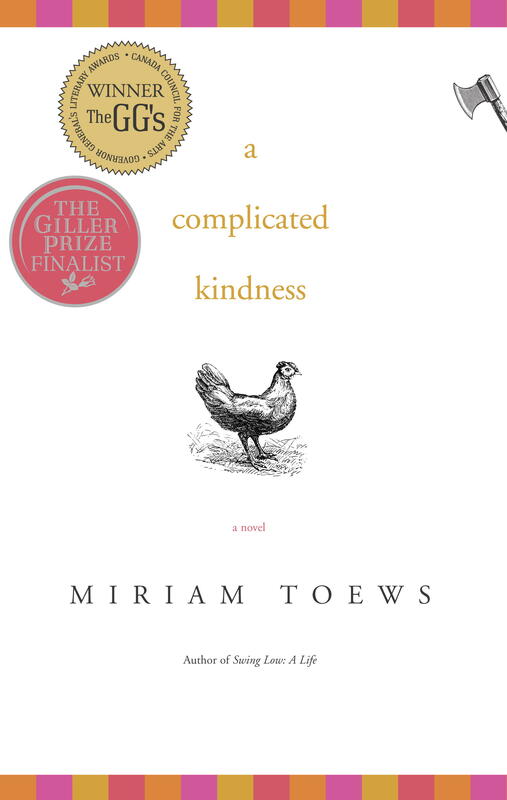 The Scotiabank Giller Prize tends to favour entries from large publishers, although they gave the 2010 award to Johanna Skibsrud’s novel The Sentimentalists , which was published by the small, artisanal Gaspereau Press, which struggled to keep up with the increased demand for the book. Likewise, the awards occasionally recognize the same work. 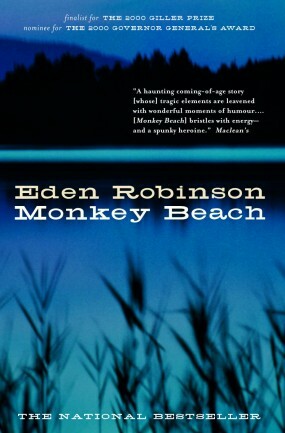 Eden Robinson’s Monkey Beach was shortlisted for the Giller Prize and the GGs in 2000. Similarly, in 2011, Patrick deWitt’s The Sisters Brothers won the Governor General’s Award for fiction and was shortlisted for the Giller while Esi Edugyan’s Half-Blood Blues won the Giller and was nominated for the Governor General’s Award for fiction. By branding Life of Pi , for example, with notations about its sales performance in Canada and its nomination for the GGs, Martel’s publisher implies that Life of Pi is, in fact, deserving of the national esteem that comes with success in Canadian award culture. Likewise, by juxtaposing that announcement with a discussion of Martel’s nomination for the Commonwealth Writer’s Prize, the paratext also implies that Martel’s value as a writer is recognized in a transnational context. There is, then, a productive tension to be drawn out here between the monetary value of the award, the book’s contribution to Canadian national cultures, and the notion of aesthetic value removed from these more mundane concerns. Rather than resolving tensions between monetary value, nationalism, and aesthetics, the Life of Pi paratext seems to keep these tensions in productive play, allowing these kinds of values to blend together. Redekop, Magdalene. Canadian Literary Criticism and the Idea of a National Literature. The Cambridge Companion to Canadian Literature . Ed. Eva-Marie Kröller. Cambridge: Cambridge UP, 2004. 263–75. Print. Richler, Noah. We Are Looking for Leaders. National Post 24 Oct. 2002: AL1. Print.